It’s a classic horror movie trope, the hero’s having just vanquished their foes sit side by side and reflect on the crazy events that have shook their lives. Their seemingly unaware that there is still 23 minutes of running time left and that its unlikely to be filled with scenes of them moving on from the adventure with a few high therapist bills. The monster showing that a golf club, knife, blow torch or Atlantic salmon wasn’t enough to finish it off returns and catches the hero’s unaware and so the battle continues. This is very much the case with Scottish Independence and it should not be ignored by a compliant, confident and Brexit distracted Westminster. In 2014 the United Kingdom narrowly avoids the loss of Scotland and along with it a third of its land mass when the Better Together campaign secured a victory on a night were Scotland and a few beyond saw the morning hours through on the edge of their seats. Promises were made, power agreements sought and as the results came in a sigh of relief so great was heaved that across the Atlantic Canadians lost their hats. Like a summer blockbuster a sequel seemed inevitable and the referendum posters hadn’t been taken down before people were drawing a two on them. The word “neverendum” entered the Scottish taxi driver’s vocabulary and people began to see their parties at election time not as left or right but as pro-and anti. It seemed like another referendum could be around the corner with popular First Minster Nicola Sturgeon leading the party across the Rubicon to the promised land and then in 2015 the unthinkable happened. Some had worried that Scotland was now blonde for the foreseeable future but in 2017 in a move many saw as Scots voting out of lethargy with the topic of independence the SNP lost 21 seats out of 56. Pro unionist forces had unified and the three loneliest figures in politics, the conservatives, labour’s and the Liberal Democrats one Scottish MP’s a piece, all gained some much need company. 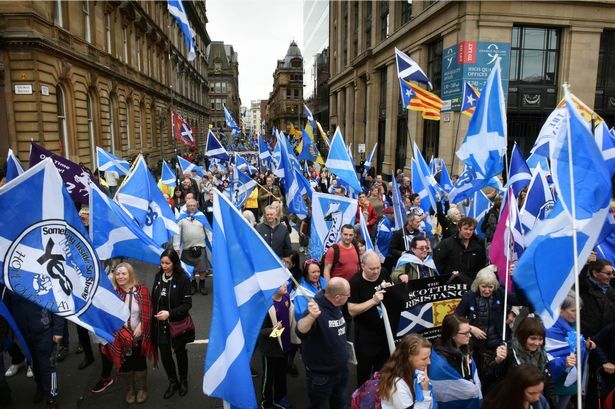 The SNP and an energised independence movement remains in Scotland any drive through Edinburgh or Glasgow will tell you that with the yellowing yes posters still sitting in a few scattered windows like emergency double glazing not fully betraying the strength of the movement today. 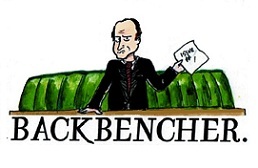 Whilst the 2017 election may have of been a set back the SNP are still the third largest party in Westminster and have through prime minister’s questions kept themselves in the national spotlight appearing as a strong voice of opposition alongside a divided Labour party. Most worrying of all is the possible perception of pre-referendum promises being left unfulfilled. With Nichola Sturgeon herself hailing “new powers of the Parliament, won after the independence referendum” if efforts aren’t made to meet this the word of Westminster based unionist politicians will be of less value than my album of ACDC cover songs set to violin. Politics is often about appearance, so any union campaign must stress “The vow”, the promise of more powers for the Scottish government is being implemented, and with gusto as not only have more financial powers but more welfare powers been given to Scotland according to Brain Monteith in the Scotsman. It is true that current polls over whelming suggest that support for staying in the union is higher than independence, with most placing the gap at 10 percent. But such obstacles have been overcome before that the SNP closed the poll gap in 2014 so fast you’d think Mel Gibson had personally endorsed them from atop a highland cow and did so by calling upon the same youth energy France’s Macron recently used to take his party from cradle to power in just over a year. If the gap remains 10 or 12 points wide the risk of a referendum remains. Brexit shows the dangers of assuming voters will support a status quo. A failure to keep the pivotal promises of 2014 could end the union and impact Britain’s global and domestic position. 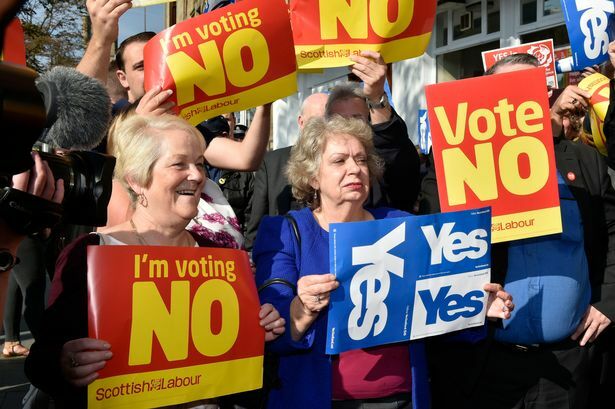 Some optimism is permissible with a lack of overwhelming amount of support for a second independence referendum with even the SNP’s deputy leader in Westminster Kirsty Blackman admitting in January most voters “don’t give two hoots” about independence. But if the SNP secure the most seats in the 2020 parliamentary elections in Scotland it will undoubtable appear again and this time with bigger teeth and a memory of how bitter defeat tastes. If Scotland is to remain in the UK, then both voters and politicians musty avoid compliancy like bad breath. It should become almost taboo to assume that Scotland will vote no, lethargy and arrogance are deadly weapons and it is up to voters who support the union to pressure politicians be them Labour, Tory or Lib Dem to remember their promises and not see Scotland as a state halfway out the door. The Union must adapt to survive, especially in the age of Brexit, Britain must be willing to make comprises with its partners and that includes revising the dynamic of power. Pushing the message of successful and growing devolution and a strong positive message of the current and future benefits of being a unified nation rather than political divisive tactics and the creation of Scots as a scary “other” in British politics must prevail if we are too stop the UK moving from political journals to the history books.